Home » Uncategorized » Can you resist the lure of the marathon? 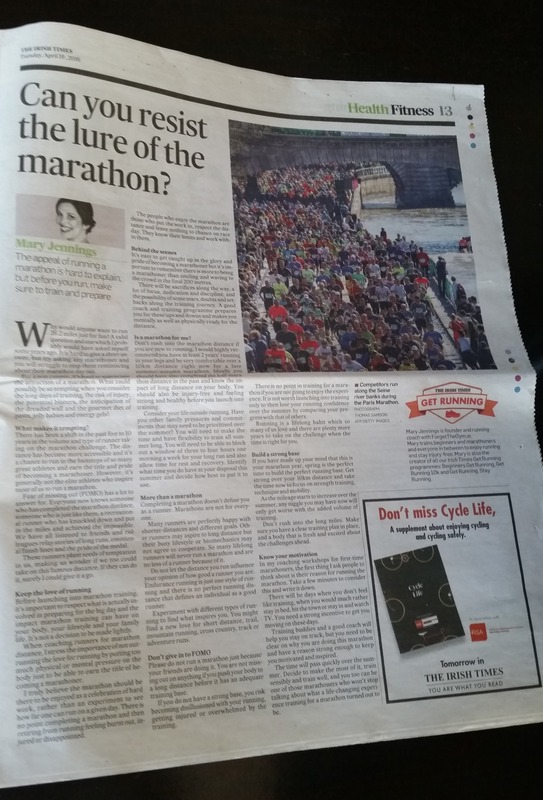 A marathon is not for the faint of heart and here Mary explains its not for those who have not got a plan in place either. Respecting the distance is the first step to running a marathon. This article first appeared in The Irish Times in April 2016, you can read the full article online here.